Parents have questions, and we have answers. The Campaign for Dental Health has new, simpler versions of two of our handouts for parents and caregivers, in both Spanish and English. 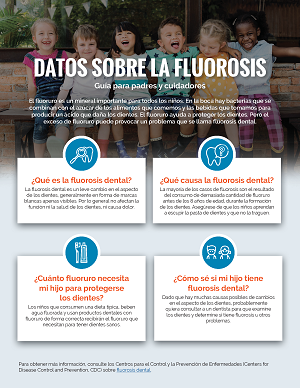 Enhanced graphics, bold formatting, and a reduction in the amount of text makes these quicker and easier to read. 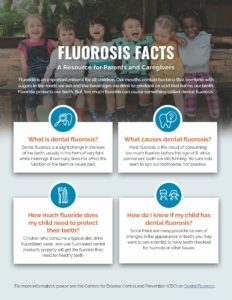 As companions to Fluorosis Facts: A Guide for Health Professionals and Fluoride Safety: A Guide for Health Professionals, these handouts let parents and caregivers leave the office with helpful information in hand. 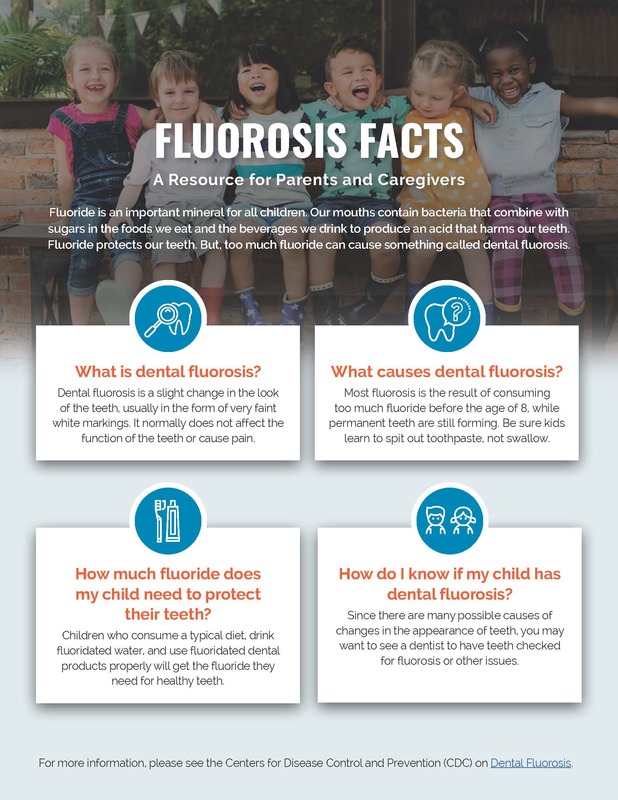 They are all housed together and available on the Health Professionals page. 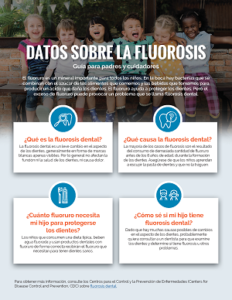 Fluorosis Facts (Spanish) – Explains sources of fluoride, dental fluorosis, and gives parents guidance on preventive oral health care. Common Questions About Fluoride (Spanish) – Explains the importance and safety of fluoride in a question and answer format. 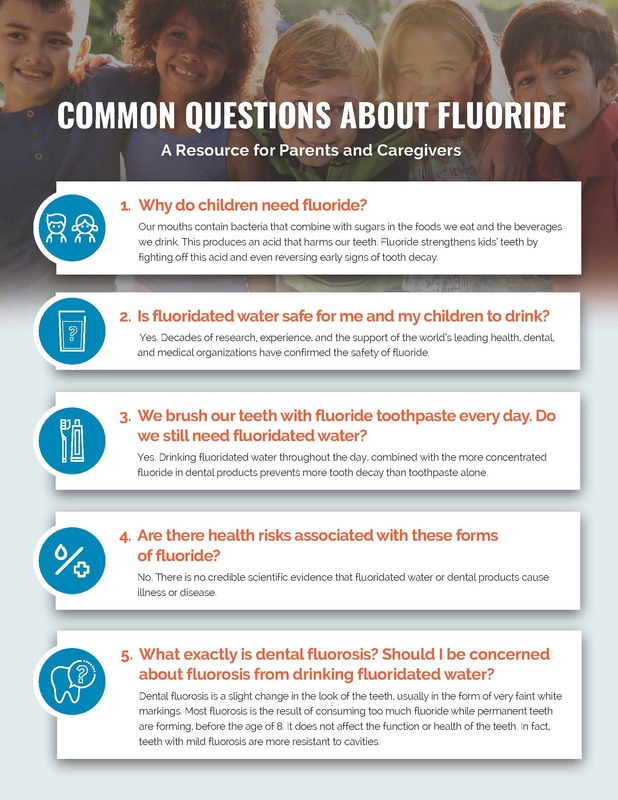 We encourage you to download, print, and share these handouts with others.